For electrical energy to flow the wiring connections must be secure and free from corrosion. This is especially true for a high amperage draw such as an engine starter. As electrical demand is increased through a connection slight amount of heat will develop. When an engine is cranked over it demands a high amount of amperage from the battery and the battery cables. 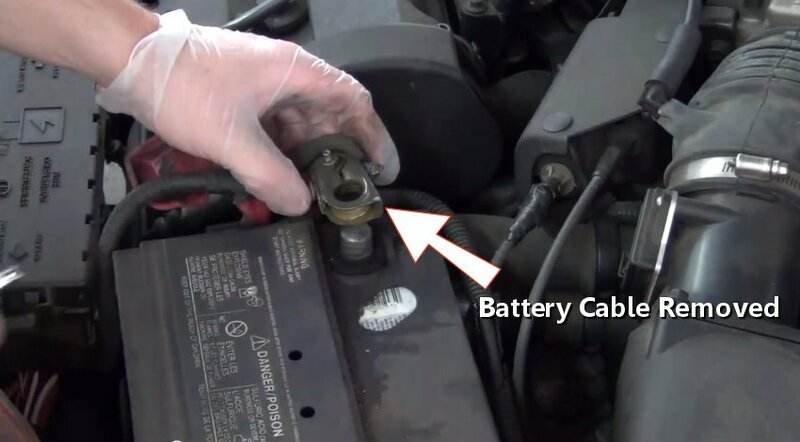 If a bad connection develops it will create excessive heat causing the connection to stop working which stops the battery's electrical flow. Since the battery provides electrical power to the remainder of the car such as the lights, everything electrical stops working. Once the connection cools it can reconnect starting the process all over again. When a battery short circuits internally it can cause a loss of power and then regain the power a short time later as well. Inspect the battery for bulging sides because it could have a warped plate inside that can short under certain conditions. Never crank an engine when a person is near the battery or engine. A battery is filled with explosive gasses that can ignite when extreme heat or a spark is present as in a bad connection. When working with a battery use protective eyewear and gloves. If battery acid is present neutralize the area using baking soda and rinsing with water before work begins. 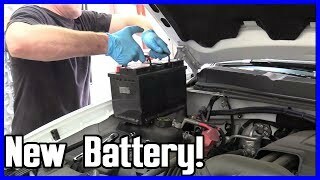 Extreme acid is a sign the battery is bad and needs replacement. When working with a battery be sure not to touch your face, eyes or clothing with the work gloves. 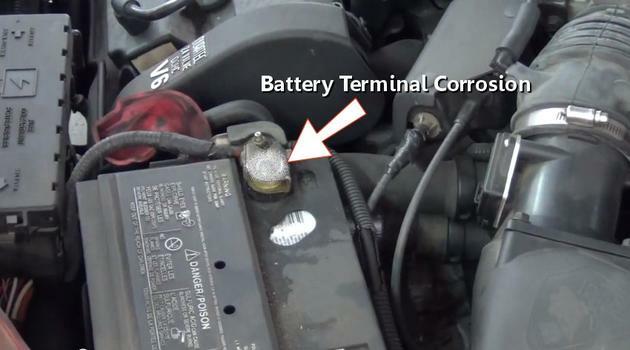 Grasp the battery cable and try to wiggle them loose while inspecting the terminals for corrosion. In the image below corrosion is present causing the electrical to go dead. 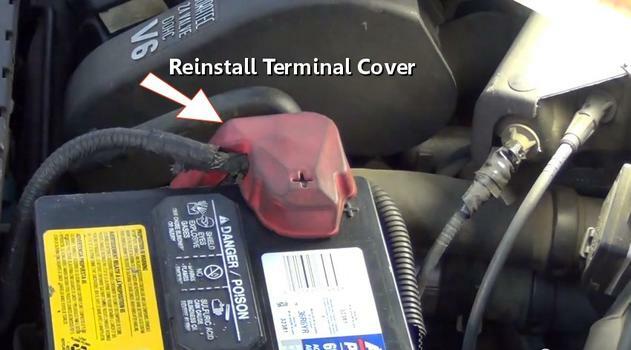 This problem is common for the positive battery terminal and cable. With the ignition key off use a 8mm or 10mm socket or wrench to loosen the cable by turning it counterclockwise. Twist and lift the cable end from the battery. There might be a small spark which is normal. Use a wiring brush or a battery cleaning tool which you can get from Amazon for about $5.00 (US) and work it into the battery cable end to remove all corrosion. 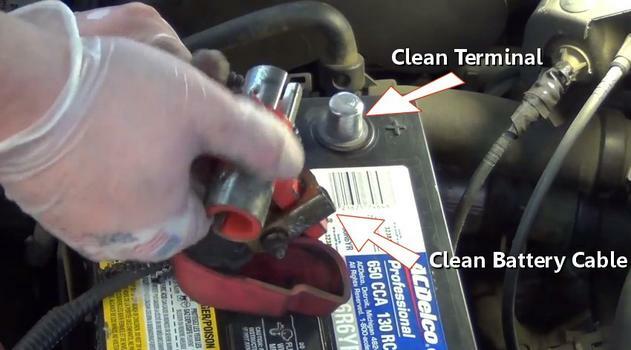 Also clean the adjacent battery terminal as well. 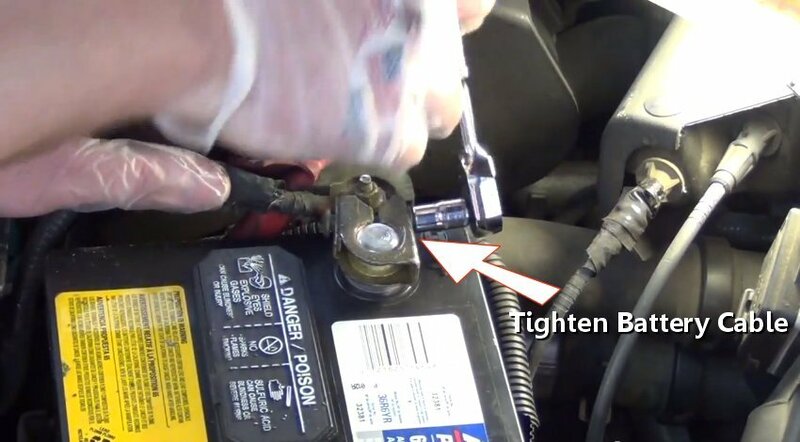 Reinstall the battery cable by pushing downward while tightening the nut. Do not over tighten the nut to avoid stripping. Once tightened grasp the cable end and check it for tightness to the battery terminal then reinstall the terminal cover and you are all set. 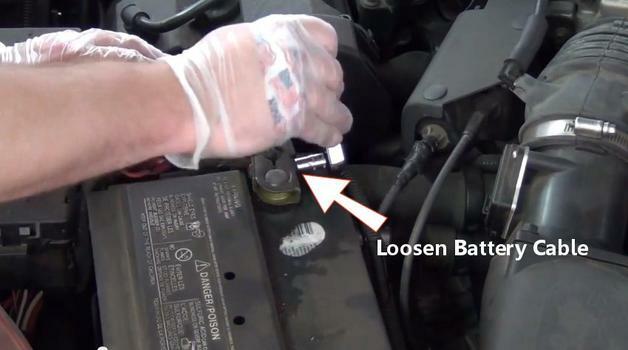 If you have any battery terminal cleaning questions, please visit our forum. If you need car repair advice, please ask our community of mechanics is happy to help you and it is always 100% free.